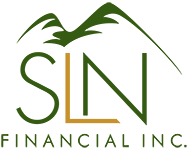 May 17, 2017 - A Quick Guide to Common Insurance and Annuity Terms | SLN Financial, Inc.
Navigating complex terms when managing your finances is an ongoing responsibility. Yet, with all the information to process, understanding the plethora of jargon and industry-specific terms can be cumbersome. We’re continuing our quick guide to common terms, so you have resources to help make sense of the details associated with your financial life. These terms represent a handful of words and phrases commonly associated with insurance policies and annuities contracts. If you have any questions about terms you read in your statements or other communications, please contact us. We’re always happy to help provide you with the answers you need to make sense of your financial life.